While I had heard of Customer Experience before, and had dipped my toes into customer journey mapping, Kerry Bodine’s talk gave me fresh insight into the field. CX (Customer Experience) is a far ranging discipline, that goes beyond UX to a wider appreciation of how a company’s systems can impact the interactions it has with its customers and hence, the experience it provides. 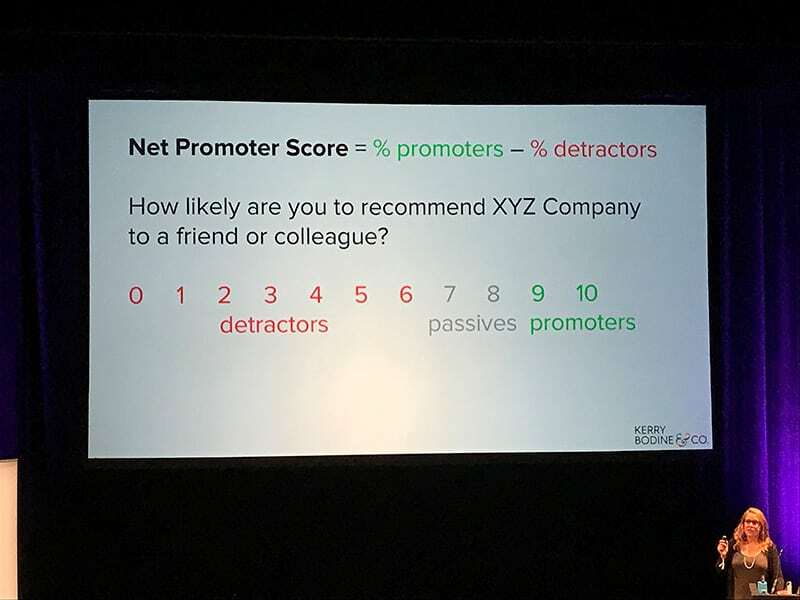 The focus on Voice of the Customer and Net Promoter Score I found particularly interesting, the latter especially, as NPS is the kind of measurement that makes executives sit up and listen. It did strike a chord of how useful that sort of broad, bottom line metric would be when presenting the impacts of UX to clients. The talk then led to how companies can go about designing new experiences based on well researched and thought out customer journey maps. It also touched upon the importance of service design in the process, and the need to understand the complexities that designing a new customer experience can have on the systems and departments within an organisation. 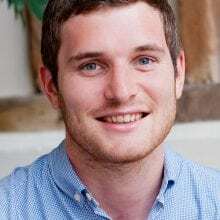 It provided an insight into the growing role of CX practitioners within organisations and I’m sure that plenty in the crowd saw a potential career path following the presentation. My second highlight was Amber Case’s presentation on calm technology. Amber argued, quite rightly about how technology in today’s world has gone beyond supporting us and instead is constantly interrupting us with vibrations, beeps and pings. The role of the smart fridge and the smart kettle were questioned and more deeply, it explored whether putting microchips into every conceivable appliance should really be seen as progress. Instead Amber proposed moving away from what was termed as an era of interruptive technology and based on the work of Mark Weiser and John Seeley Brown, aiming to design calm technology instead. Weiser and Seeley Brown worked at Xerox PARC in the nineties and were some of the first to question the impacts of technological change and the importance of its relationship to us. Technology should require just some of our attention when necessary, not all of it, all the time. Technology should work with our periphery senses, so that we can focus on the task at hand. Technology should inform us in subtle and appropriate ways. Technology should bring out the best in technology and humanity. Technology doesn’t have to speak in order to communicate. The correct amount of technology is the minimum required to solve an issue. Technology should still work even when it fails. 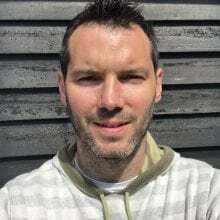 The principles of designing calm technology hark back to one of the first things I learnt about UX, that people should be able to accomplish their goals in the least amount of moves and with minimal cognitive load. As an extension of this mantra, they work as an extremely useful checklist that all designers should be using. Other than the principles of calm design, the key takeaway from the presentation was summed up well by Mark Weiser’s quote. This is something that rings true already with phones constantly vying for our gaze with notifications, pop ups as we browse and an inundation of content, particularly in the digital sphere. As we design the next generation of interfaces, it is something we should all be acutely aware of. 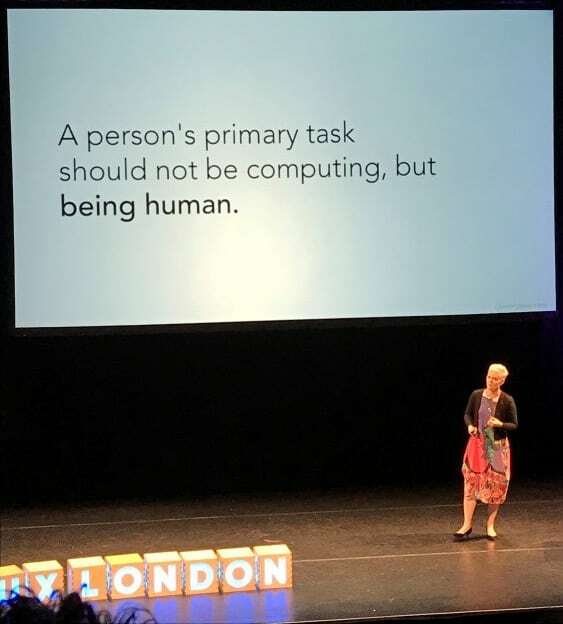 UX London was thought provoking and as always, offered a good opportunity to learn new things, but also apply some deeper thinking into what we do on a day to day basis. Clearleft should be commended, not only for their great organisation, but their ever improving brewing enterprise, BeerLeft!